Musician gift solved! 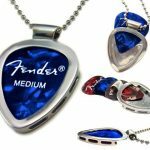 PICKBAY guitar pick holder pendant necklaces holds 1-3 guitar picks for the guitar players and displays your favorite concert guitar pick as art. 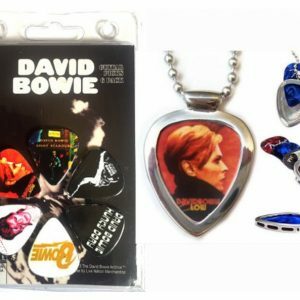 Best gift for the musician & music fan! 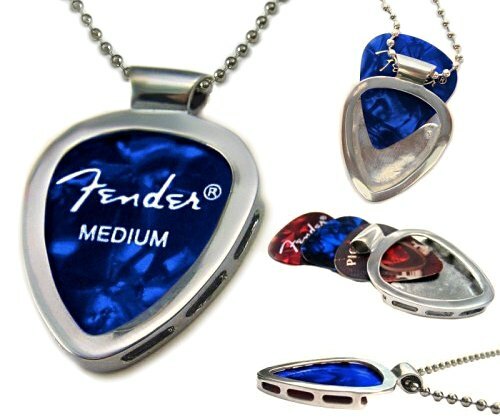 This is one gift everyone will love! 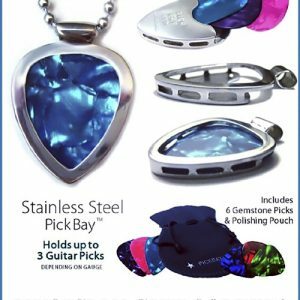 Shiny 100% hypoallergenic Stainless steel PICKBAY comes with a FENDER pick plus a bag of 5+ guitar picks (plectums), a 24″ custom stainless steel 3.2mm bead chain all packaged together in a velvet polishing pouch, ready for gift giving! Ships from Los Angeles. The ORIGINAL PICKBAY! 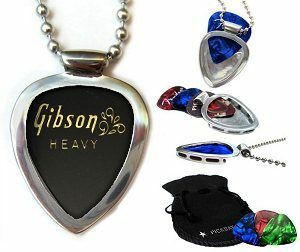 CHROME SOLID Stainless Steel PICKBAY set. 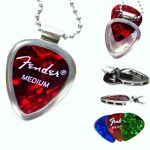 Proudly display your concert picks, branded or favorite jewel-tone picks everywhere you go. Your picks are safe and secure but easily interchangeable so you change your look anytime! Every PickBay is unique–each pendant is hand cast and hand polished with care. 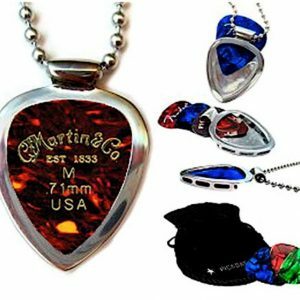 This combo which includes a Shiny Chrome Stainless Steel PickBay & super shiny nickel matching ball chain, colorful jewel-tone guitar picks, and a polishing bag that serves double duty as a polishing pouch.